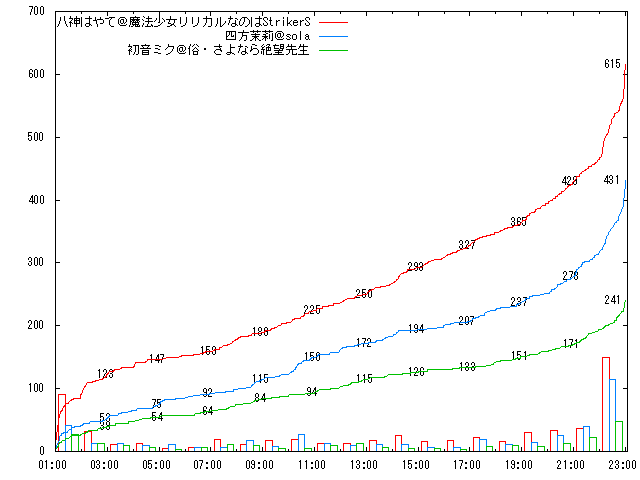 Now, as I said in my previous post, Miku is in the Saimoe 2008, but I said that she only have a very little chance of winning, and I predicted that she’s going to lose. Why? See my previous post where I explained the reasons. The results are in, just look at the graph below yourself. Oh, Miku lost? I actually quite sure she could make it… well Hayate is indeed tough =_+; She should have her own anime (the anime version of her manga is not bad also), then more people will definitely vote for her, wwww. Aw, poor you. I already adapted to the 4-hour sleep on daily basis.